KERI McInerney will join 37 other Hervey Bay residents to carry the Commonwealth Games baton when it arrives in the region on March 25, 2018. The international singer and songwriter was selected for her charity and humanitarian work. "I was really quite stunned,” Ms McInerney said. "I've always been a community minded and spirited person and genuinely believe I could use my career to help others. 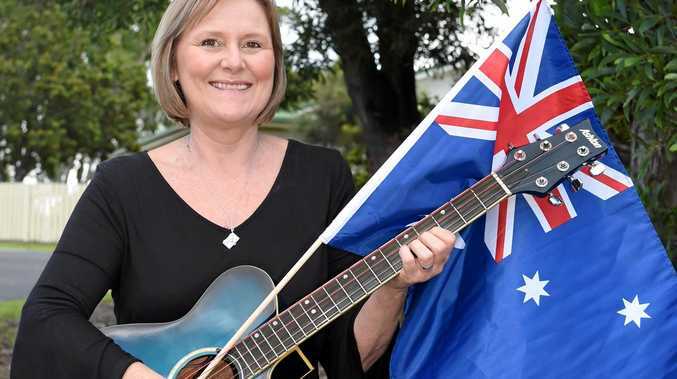 Ms McInerney, who was honoured with an Australia Day award this year, said she looked forward to sharing her Aussie pride with all of the batonbearers selected to represent the region. They will all don a special uniform that will become a treasured keepsake of their role in Gold Coast 2018 XXI Commonwealth Games. "Some of these people I really admire as well, like Mark Cassidy and Ron Acutt, I've known these guys for a number of years and equally have mutual respect for what they have achieved in their life,” she said. "This is such a massive honour and speaks volumes about what people have done for their local community. The Queen's Baton will be carried for 200m by each participant before moving on to the next destination. The Hervey Bay route hasn't been revealed yet. For Ms McInerney, the batonbearer announcement couldn't have come at a better time as illness and the loss of several close family members has made 2017 a difficult year. She is one of three people in the world to be diagnosed with a rare giant cell tumour in her elbow and has had two surgeries, with a third to follow in coming months. "That's why this exciting thing happening now and all the positivity from this honour is a really lovely moment, to boost me out of the struggles I've been going through over the past couple of years,” she said. Not even the limited use of her elbow will stop her from walking and running about two-and-a-half minutes with the baton. The baton will arrive on day 90 of its 100-day journey around Australia before being delivered to the Commonwealth Games on on April 4, 2018. The baton was launched at Buckingham Palace on March 13, 2017. It is currently in Malaysia and is set to visit the remaining 15 Commonwealth nations in Asia and Oceania before arriving in Australia on Christmas Eve. It will be 60 years since a baton first carried Her Majesty's message to athletes of the Commonwealth at the Cardiff 1958 British Empire and Commonwealth Games in Wales. 55 batonbearers were selected from Hervey Bay, Maryborough and Fraser Island. What's the one thing you need to do on the Fraser Coast?